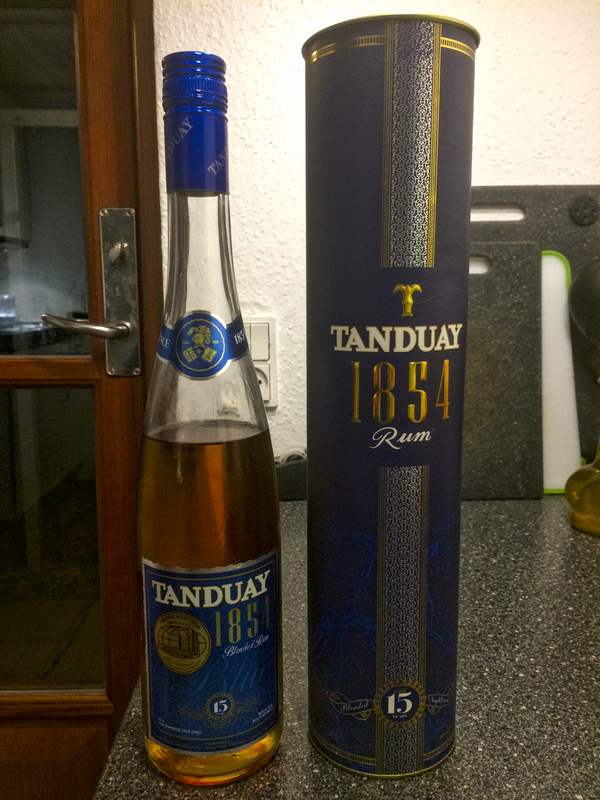 Have you found an online vendor selling Tanduay 1854? I can drink this rum neat. It's smooth with hints of oak, caramel and vanilla. Quadruple medal awardee. Only sold in Asia but ranks second only to Bacardi in sales volume. Can't say it's great but it is a nice easy to drink rum with tones of oak and vanilla. A bit weak maybe but for $5 what can I say. If you are at Phillipines neet to try! Grei rom. Kan drikkes bar, men fungerer best i en cocktail. Probably not 15 yrs old, but still a very good taste. A pretty smooth rum as well. It is noticeably smoother than the 12 yrs old. Must be caramel and cinnamon that are the most prominent flavours. Only sold in the Philippines, brought 3 bottles back home (€6 a bottle). Nose and palate: orange and some hints of oak. Similar to Don Papa Rum (from Philippines as well). The Tanduay is less sweet than Don Papa, which is positive. Tanduay seems less complex, but more subtle and maybe even more authentic than Don Papa. this was the first rum I have tasted from the Philippines. It had a nice taste, but a little too weak tasting for me.